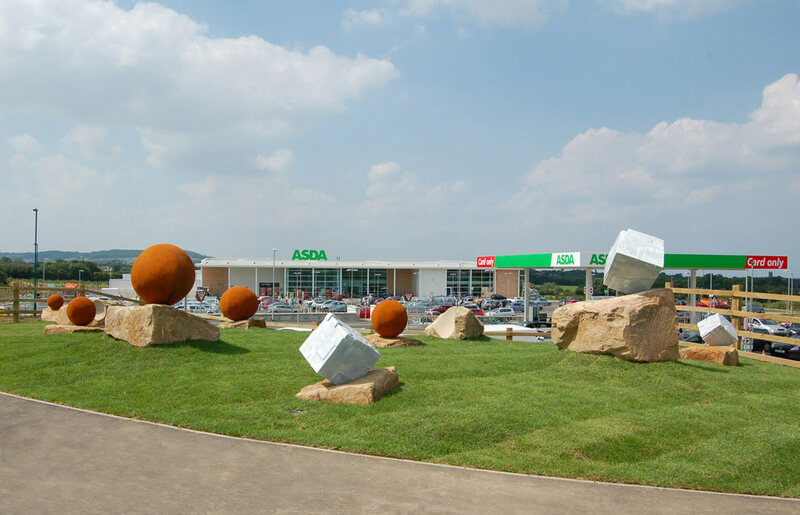 This cast iron, stone and steel sculpture takes inspiration from Skelton and East Cleveland's rich heritage of mineral extraction from the Alum mines of the 1600’s through Ironstone mining to Potash and Salt extraction we see today. 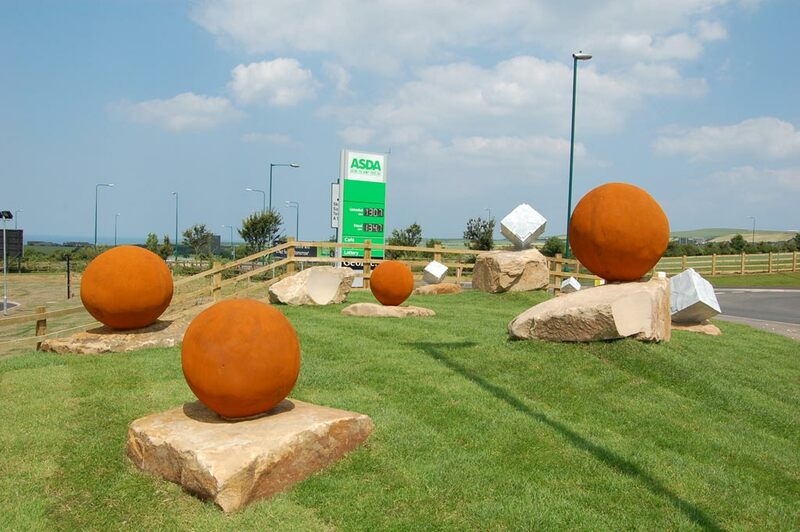 The giant spheres are based on iron nodules found within eroded cliffs on the nearby coastline; these nodules were one of the first indicators that there was valuable iron ore below. 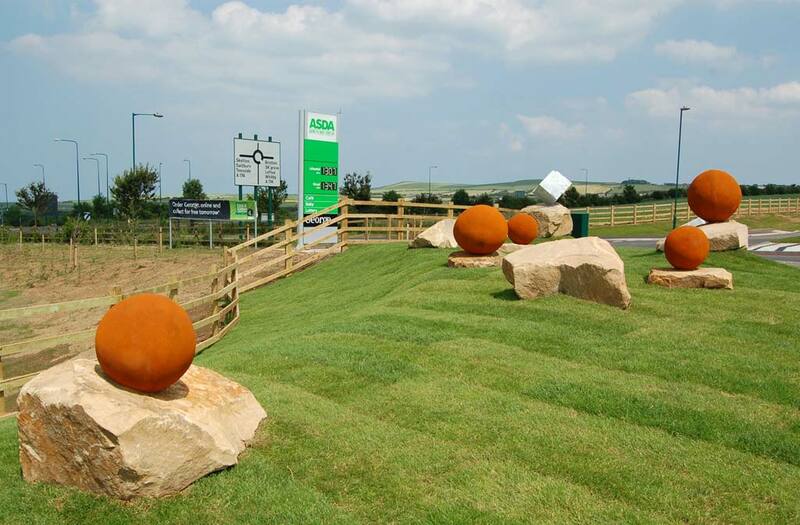 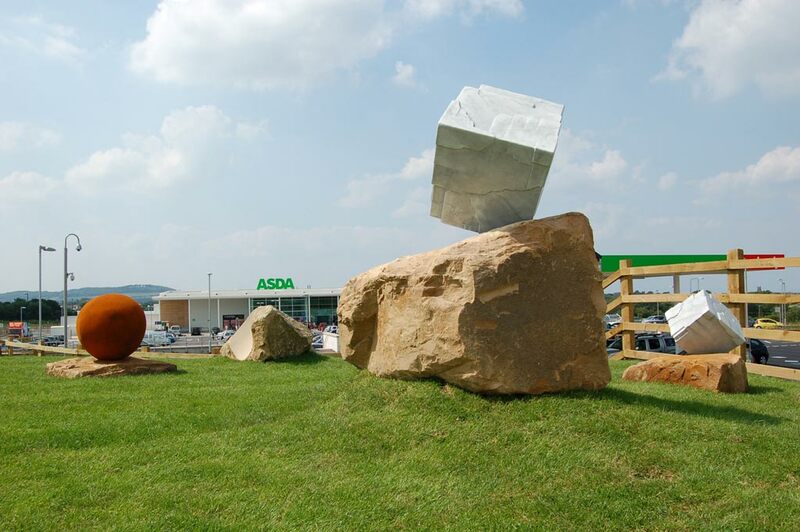 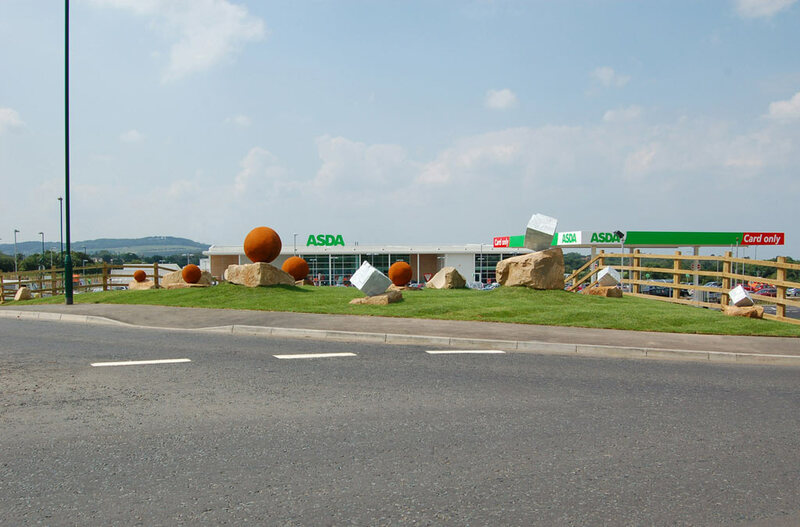 The giant cube sculptures are based on salt crystal forms found recently in the local potash mine a valuable source of income and employment for the area.